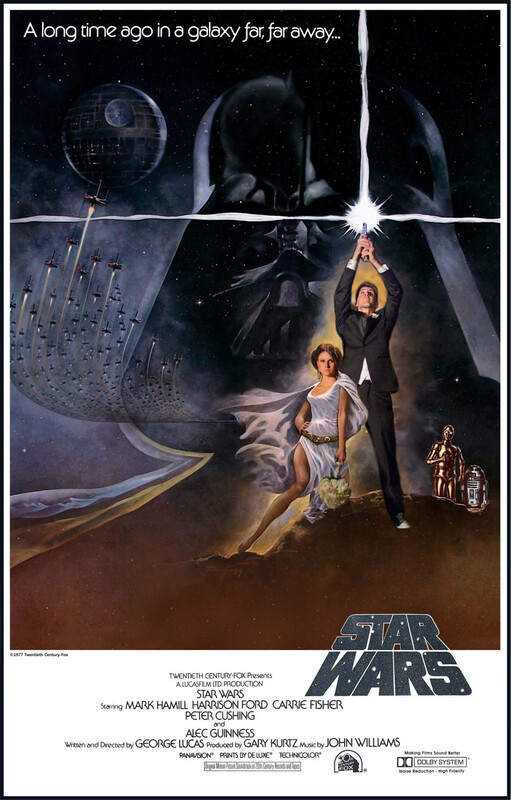 Attention has picked up in anticipation of the upcoming release of a new Star Wars movie. 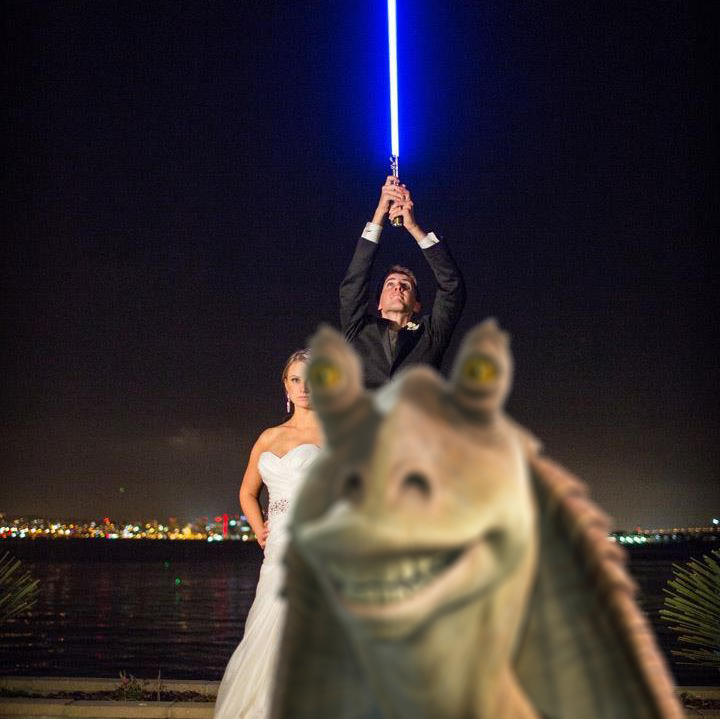 The photo was shot at a wedding in San Diego two years ago but was posted on the Star Wars Forum at Reddit this week, where it quickly rose to the top of the Internet, receiving more than a thousand views per minute. (Original Image: http://imgur.com/oGUXK1p) . The photographer estimates that over 2 million people have viewed the image form Asia to Europe on sites ranging form a Russian Star Wars fan site to the UK’s largest entertainment website to the photographer’s blog, which has logged visitors from around the world. The wedding actually took place on October 7, 2012 and the couple, Cory and Carrie Shields, has since moved to Australia. But the image went viral just days ago. The Star Wars loving bride and groom had a life-sized, remote controlled R2D2 robot as their ring bearer, found at www.Astromech.net after scouring Star Wars websites. 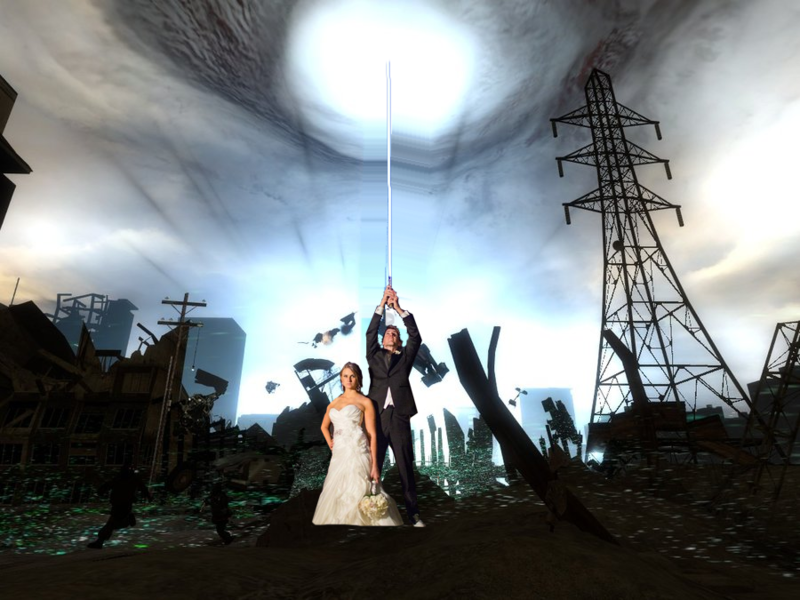 The wedding party held up light sabers as the blissful couple strolled beneath them to the tune of "Throne Room/End Title" as they were being introduced as man and wife for the first time. The groom says the theme was a natural for the couple, who met at Disneyland and married in San Diego, Comic Con’s backyard. The bride notes that she and her groom kept R2D2’s role a secret from guests—and even shot a video with a Go Pro camera showing the surprised reactions from R2D2’s point of view.